Efficient and productive performance is a high priority for any business in any industry. Businesses around the world are always scrambling to find the best software and hardware to improve the daily functions of their company. Modern advancements in technology have made this easier than ever before, especially with paper-based workflows. The Multifunction Printer (MFP) is the productivity workhorse for businesses that deal with high volumes of paper. Scanning, copying, and printing are all necessary functions of most businesses, and the MFP offers advanced technology to streamline document saving and sharing processes. Developing streamlined workflows where document sharing and faxing is quick and secure is essential, and the MFP makes that possible. Purchasing a Multifunction Printer is a great way to empower your employees with a device that will make them more productive. An MFP removes the need for multiple printers, scanners, and other office equipment in your office. This all-in-one device will save you space and money. Consolidating equipment and purchasing an eco-efficient MFP will ensure that you spend less on supplies, maintenance, and more. Choosing an MFP for your office enables your employees to do their job more efficiently. Almost all MFP’s come standard with intuitive touchscreens that make use as simple as possible. An MFP can save you post-print time as well with features like duplex printing, stapling, folding, booklet printing, and more. Modern MFPs can be customized to help establish workflows and presets that make your common print jobs quick and easy. The MFP is an effective solution for the modern business seeking to streamline processes. 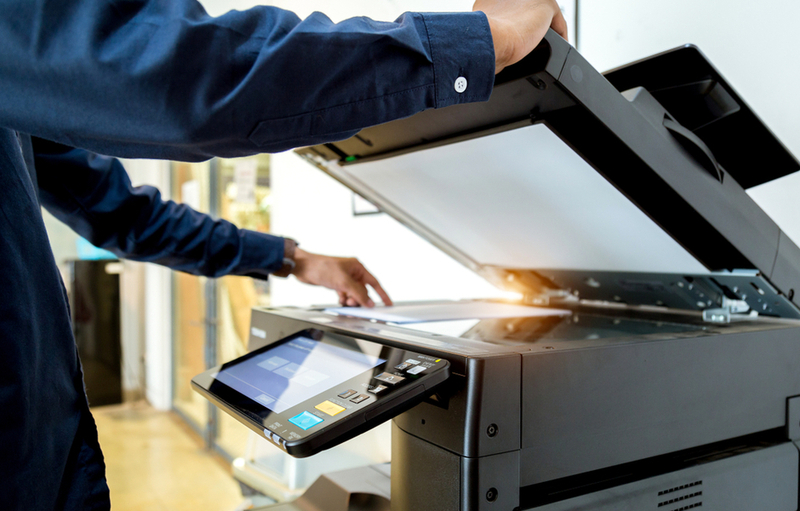 To learn more about Multifunction Printers and which one might be right for your business, contact MMIT Business Solutions Group today!